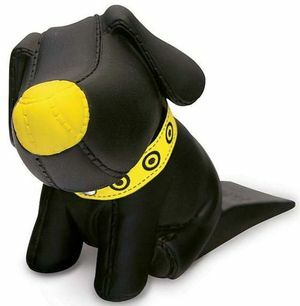 This is the Pylones dog door stop. He's just waiting to hold the door open for his people. He is as cute as a button, and he is one of Pylones' newest masterpieces. 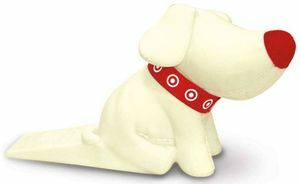 Looks like the Target logo on the collar. Or, you could just train an actual canine beast to sit in front of the door during its down time.